I was going through some old stamped samples and found this cute template for a mini scrapbook. I had these wallet sized photos lying around of my best friend’s family that would fit perfectly. I am going to see her this week and can’t wait to show her what I’ve made with the photos she gave me. She’s going to want them back. The outside cover measures 3-1/2 x 3-1/2 inches. It is easier to use double sided printed or colored cardstock. 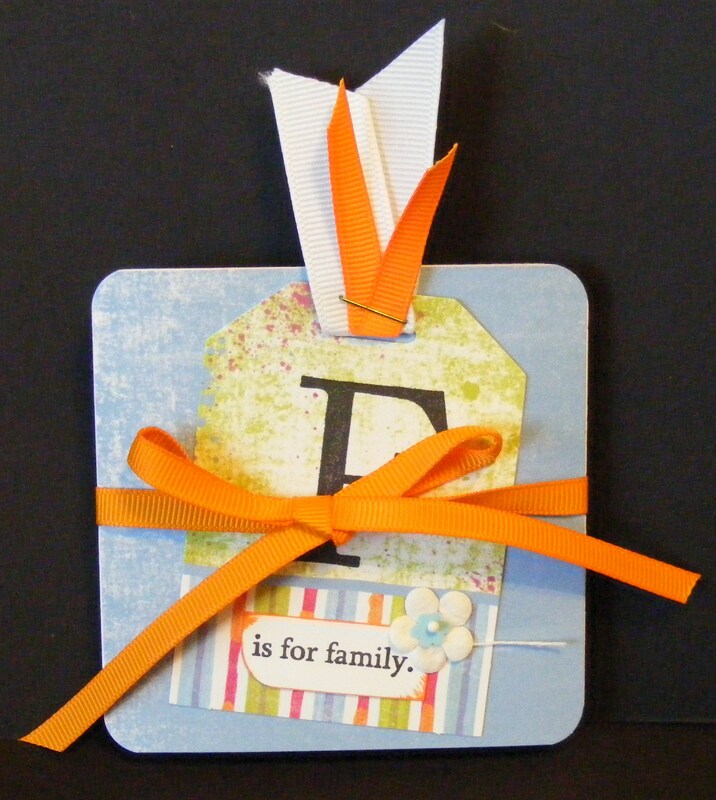 I used the blue patterned paper from Mia’s Cottage 12×12 Cardstock Collection. One side is white so I used glue stick to adhere 2 cardstock sheets together. The inside green cardstock insert measures 3 x 11-3/4 inches. If you accordion fold it in half and then in half again it will fit perfectly between the 2 covers. Center and adhere the orange ribbon to the inside of back cover before adhering the back cover to the green insert. 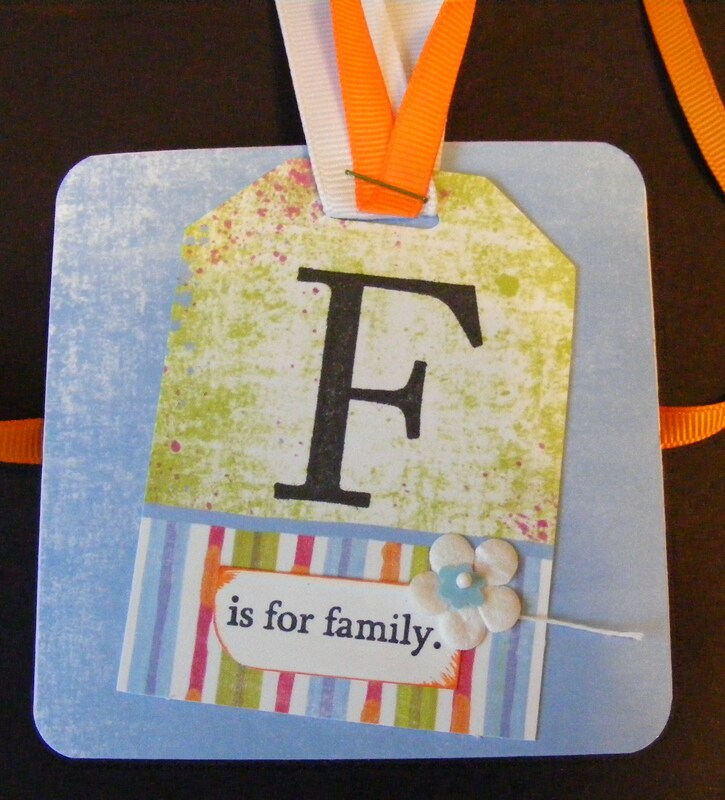 I used the tags from the cardstock collection to decorate the front cover and to highlight an inside photo. I also used white Paper Posies and pastel Flower Sequins to accent the front cover and inside sentiment. It is a quick project. And with the ribbon tie closure, it makes a lovely gift. Stamping supplies from The Angel Company. This entry was posted in Scrapbooks and Pages and tagged art, Crafts, Paper Arts, Rubber Stamps, scrapbook, scrapbooking, Stamping, The Angel Company. Bookmark the permalink.